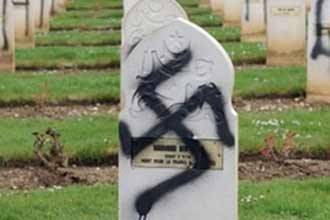 Muslim graves in a Manchester cemetery have been desecrated by racists for a third time. In the UK city of Manchester, Muslim graves have been desecrated in a hate crime. The anti-Muslim blogopshere though will continue to insist that Islamophobia doesn’t exist.